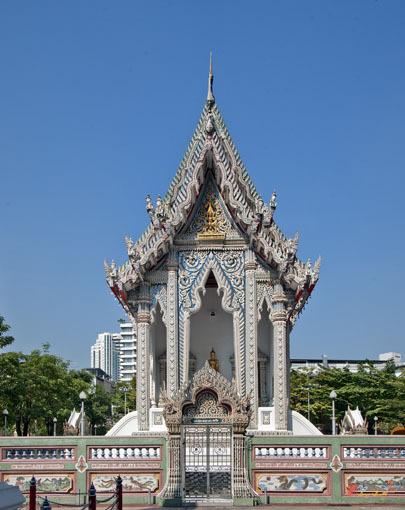 Wat Suan Phlu, วัดสวนพลู, is a small temple near the Shangri-La Hotel. 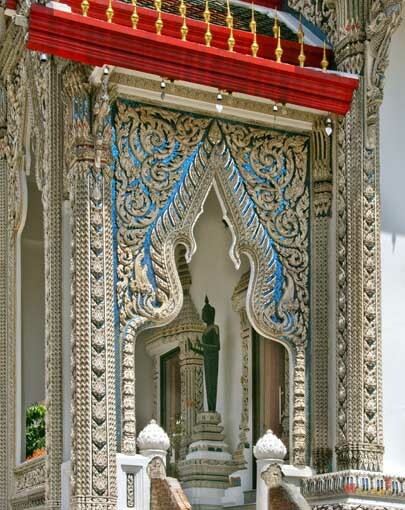 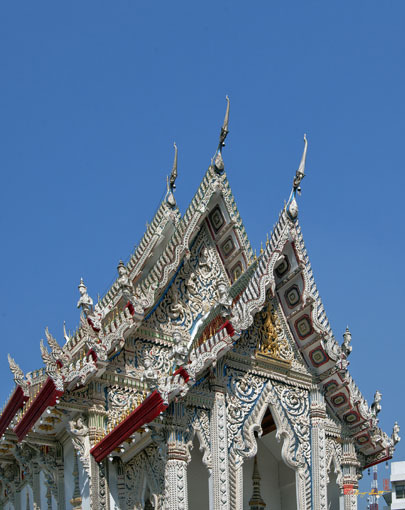 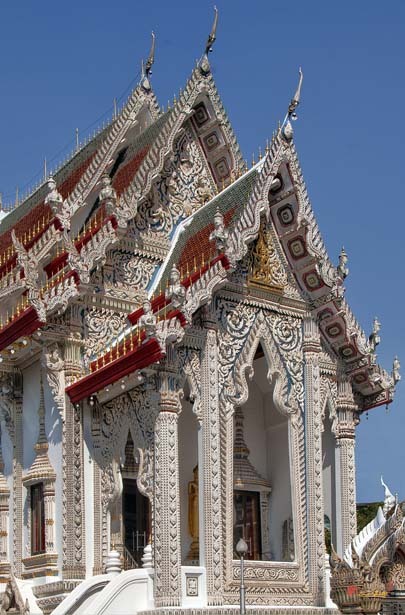 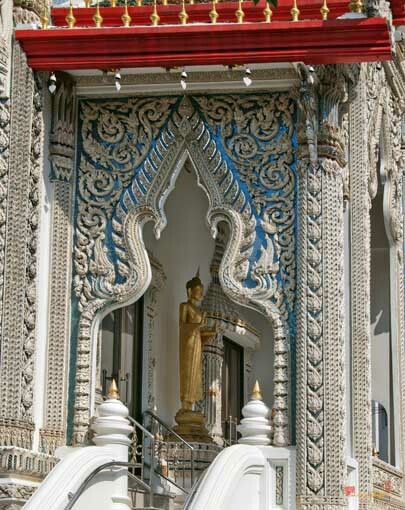 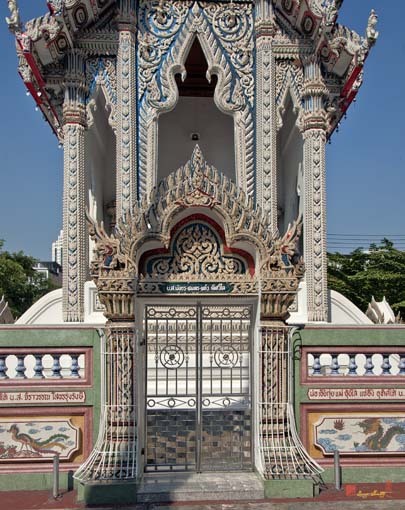 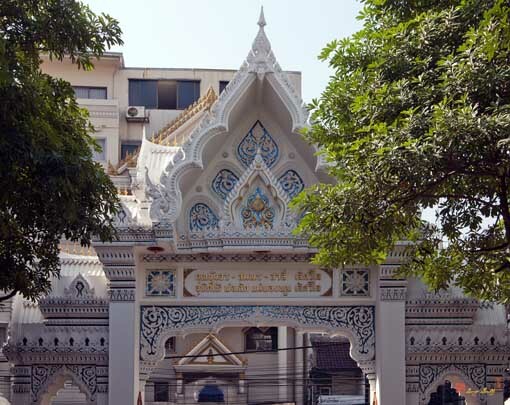 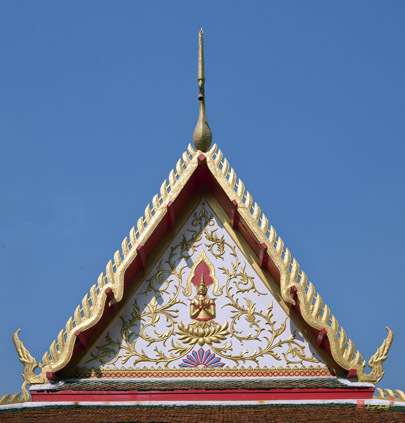 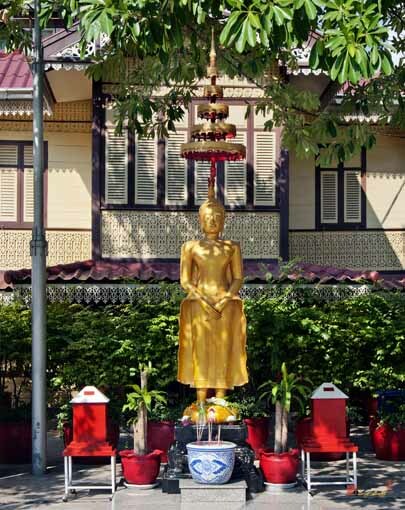 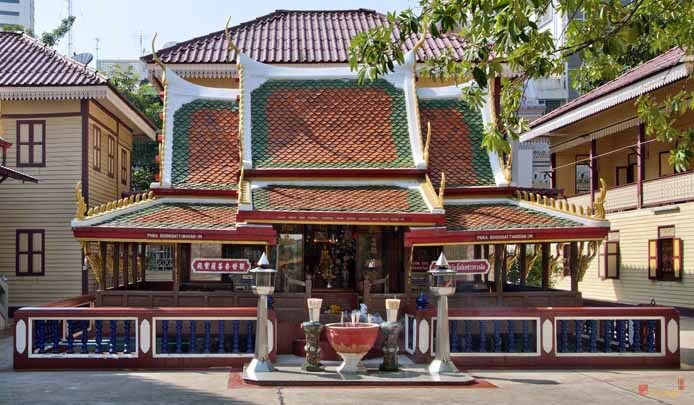 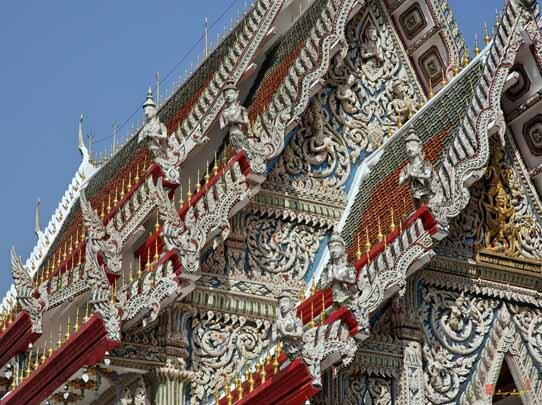 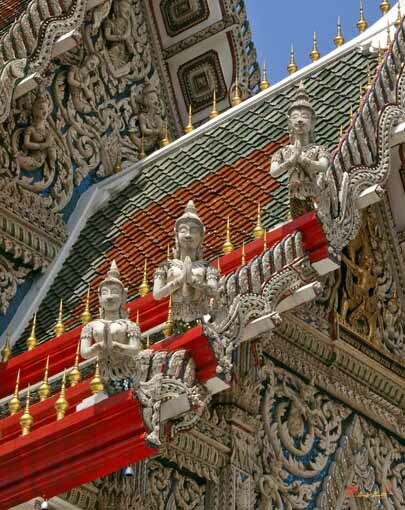 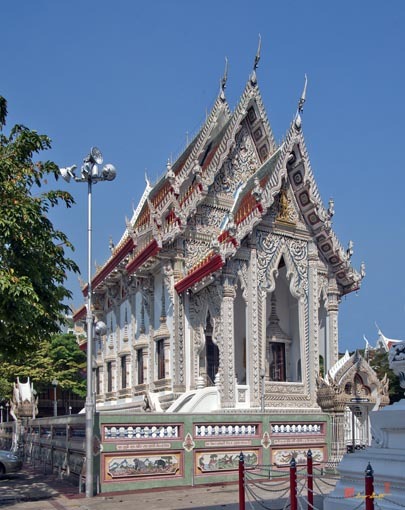 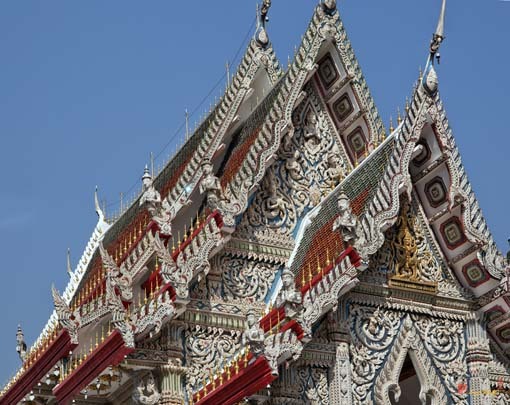 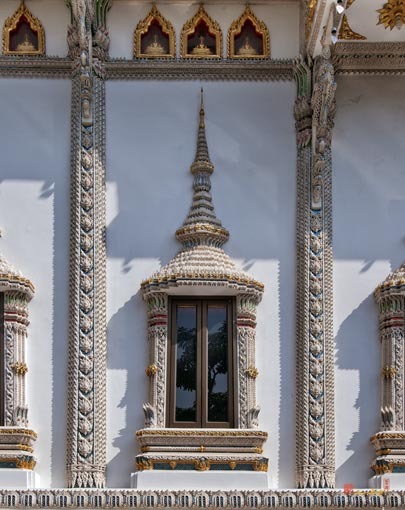 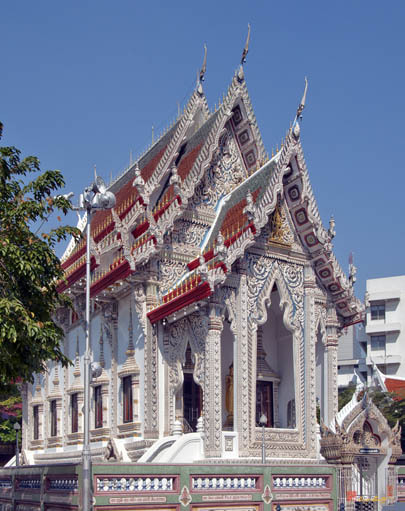 It is a relatively authentic example of a Thai-Chinese temple in the heart of Bangkok. 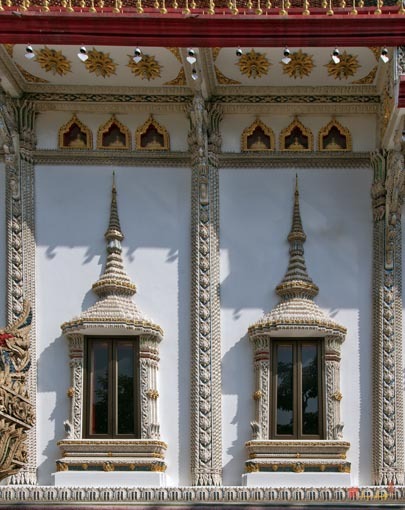 All of the buildings except the Ubosot are made of wood. 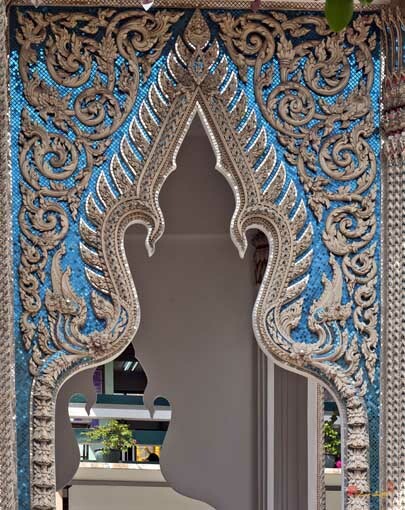 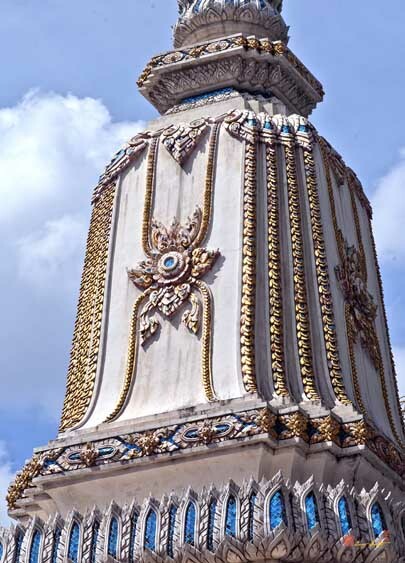 The Ubosot is rather unique in its decorations, in that there is a noticeable absence of gold and the use of blue glass tiles instead. 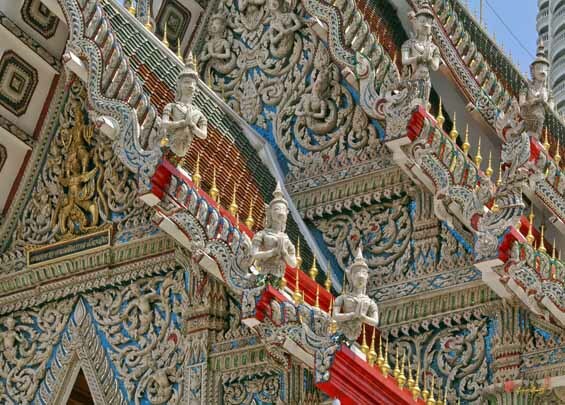 The gables are decorated with a veritable profusion of Angel figures. 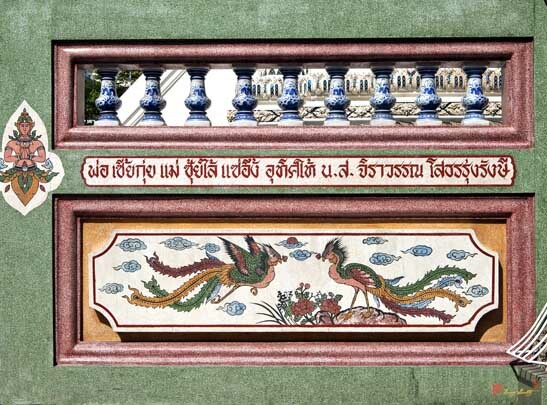 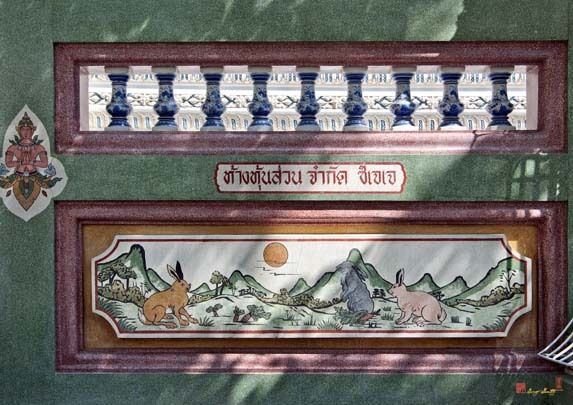 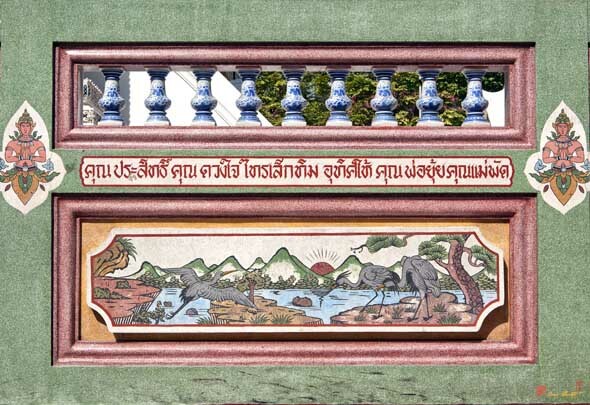 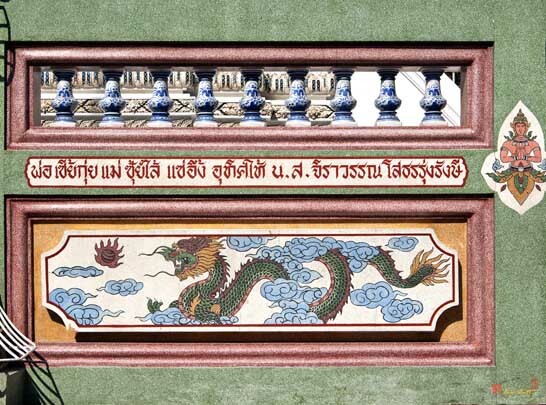 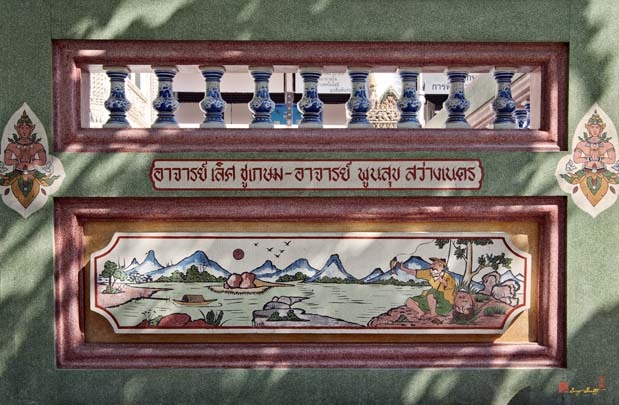 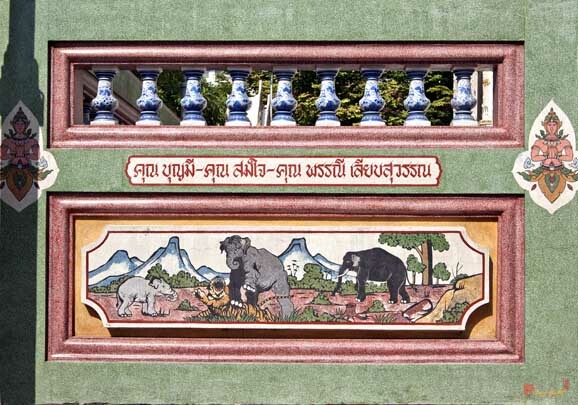 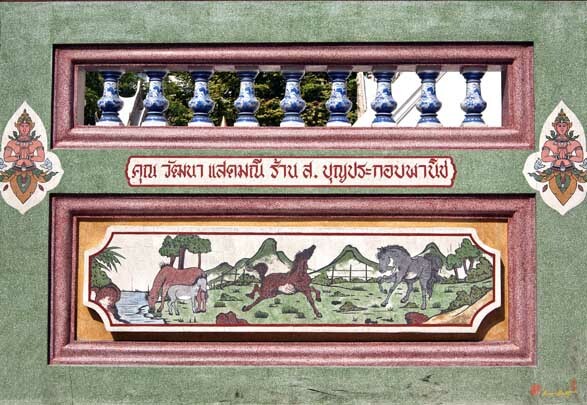 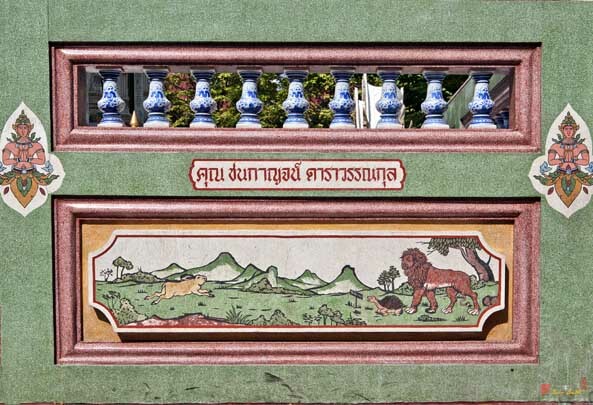 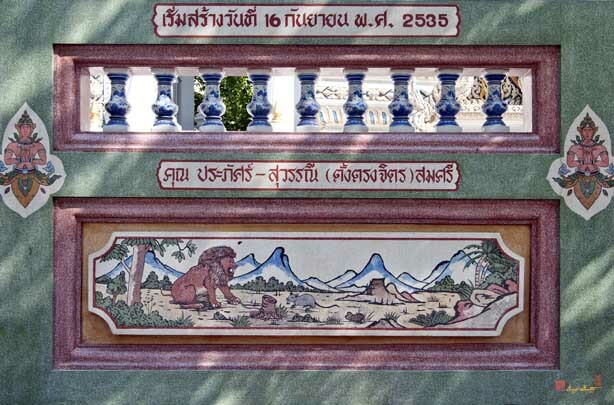 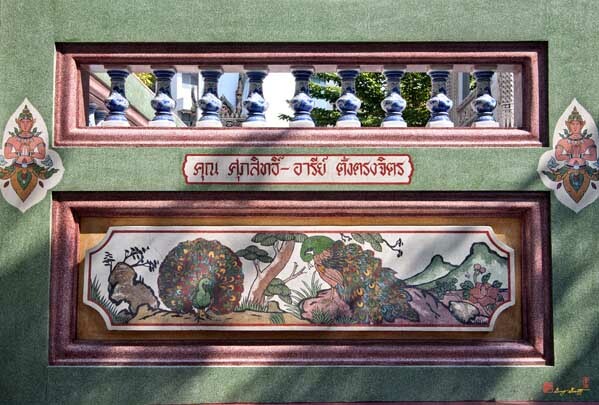 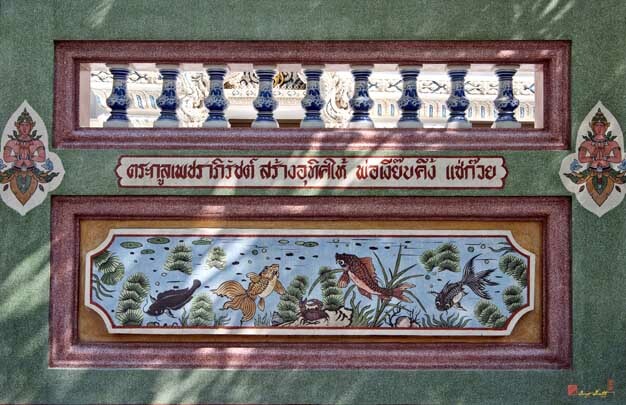 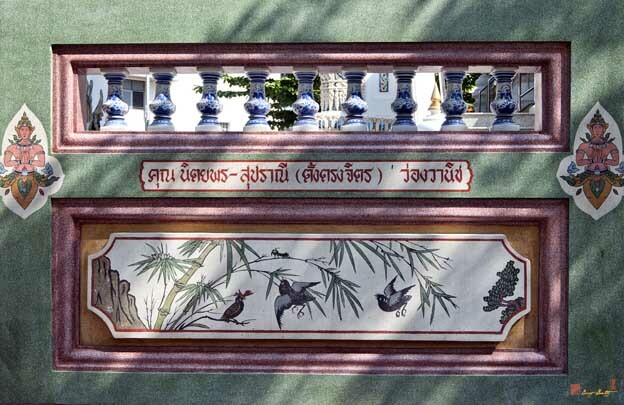 The wall surrounding the Ubosot is a series of beautifully painted panels that show various mythical settings.